If being close to the lifts while staying centrally located downtown is important, Main Street Station is the ideal condominium complex for you in Breckenridge. Main Street Station lies next to Maggie Pond, just steps away from historic Main Street. A short walk around the lake situates skiers at the base of the Quicksilver Lift, a great lift for all skill levels! 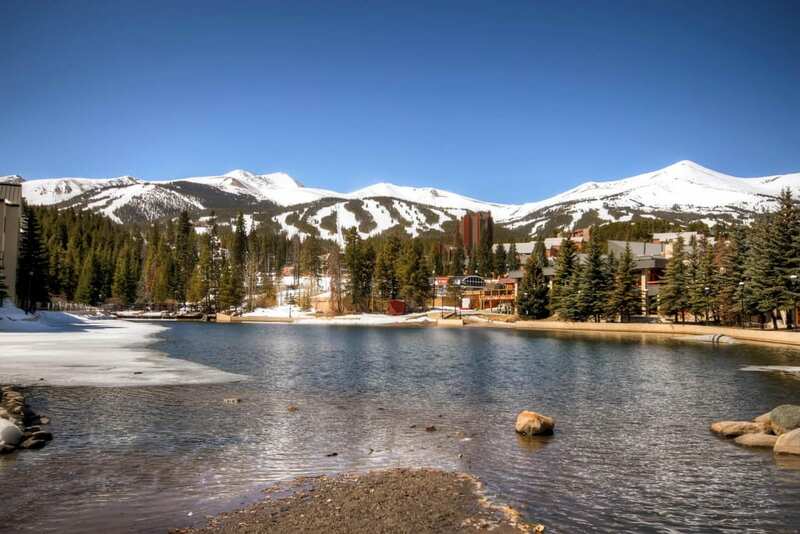 Large windows throughout each condominium offer breathtaking views of the Breckenridge Ski Resort, Baldy Mountain, Blue River, Illinois Creek and Maggie Pond. The architectural design has distinct Mining Era and Victorian influences. Most residences include private, attached balconies to observe the downtown hustle and bustle. Main Street Station officially opened in December of 2000, with an assortment of 12 different floor plans ranging from 485 square feet to 1,655 square feet. With one of the most desirable parking locations in town, leave your car in the heated underground garage and avoid the local town traffic. Warm up after a day on the slopes in any of the six-onsite hot tubs and check in with the concierge service to set up dinner reservations for the entire week! Owners at Main Street Station absolutely rave about their exclusive Pioneer Club Amenities, which includes ski valet services, continental breakfast, and a private members lounge with a spacious living room and fireplace! As a condominium owner at Main Street Station in Breckenridge, you have access to everything the town of Breckenridge has to offer at your fingertips! World-class dining and cuisine, pubs, shops and boutiques line the historical main street of Breckenridge. Relax at the many spas located throughout town or grab a drink at the many après ski stops. Enjoy theatrical productions located at the Backstage Theatre in the Breckenridge Arts District or a concert at the Riverwalk Center.